What happens when you give two authors an hour to sit on stage in big armchairs and talk? Firstly they rearrange the furniture! And secondly, in Patrick Gale’s words, it gives the audience a chance to “eavesdrop” on an uncensored, unscripted chat that leads them right into the depths of human nature. 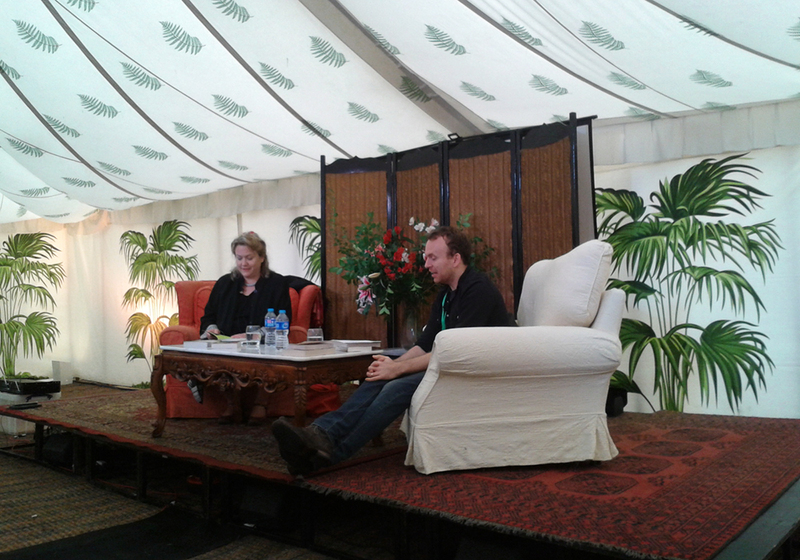 Tiffany Murray and Matt Haig read from their books, chatted about childhood, life and writing. Reading from Diamond Star Halo, Tiffany Murray recalled her childhood growing up by a record studio used by Queen which fed into her story of rockstars and romance. Matt Haig read his new novel, The Humans, about a Cambridge mathematics professor who was not all as human as he seems; delving into the elements of what it is to be a human in this world through the eyes of aliens. So that’s what happens when you let authors talk for an hour, and eventually someone has to stop them!